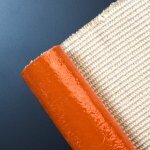 Industrial firesleeve is manufactured by coating a knitted E-type fiberglass sleeve with high-temperature silicone rubber. Molten metal simply splashes off the firesleeve. 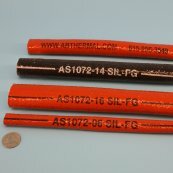 Industrial firesleeve is used in a variety of industries and applications; typically to protect hydraulic hoses, pneumatic lines, electrical cables, control wiring, welding cables, electric arc furnace cables, etc., from high temperature, flames, molten metal splash, welding splatter, slag, grinding & welding sparks and environmental contaminations. Used mostly as an industrial firesleeve but also as a marine firesleeve and aviation firesleeve to protect fuel lines, oil lines, hydraulic lines and critical control system wiring on a variety of motor, engine and hydraulic equipment. Firesleeve is also known as as firejacket or fire-sleeve. Heavy industry such as steel making, foundries, smelting and refining use firesleeve to extend the life of hydraulic hoses and cables, thereby preventing plant and equipment outages and reducing maintenance costs. 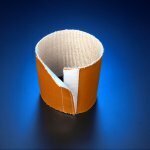 Firesleeve used on roll-stands, coke oven doors and electric arc furnace cables withstands molten metal splash and slag. 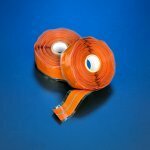 The thick coating of silicone rubber quickly dissipates heat and prevents burn-through from affecting the underlying hose or cable. 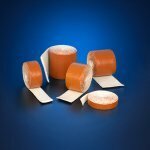 Firesleeve and our other silicone rubber coated fiberglass (fibreglass) materials withstands 500°F / 260°C continuous exposure; Molten Splash at 2200°F / 1205°C for periods up to 15 minutes and short excursions to 3000°F / 1650°C. 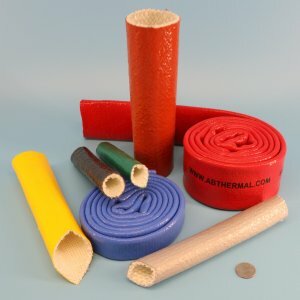 Our firesleeve sleeve, jacket, tape and fabric products are perfect for protecting hydraulic hoses, pneumatic lines, electrical cables, control wiring, welding cables, electric arc furnace cables, etc., from high-temperatures, heat, flame & pyro exposure, molten metal splash, slag, welding splatter, grinding & electrical sparks and environmental contaminations.